Sugar comes in many different varieties. The most common form of sugar has many names including caster sugar, table sugar, or just sugar. Half of the sugar used in Japan is of the castor sugar variety. 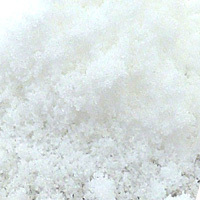 Table sugar contains very little nutritional value while being relatively high in calories. It is forbidden to eat too much. The calories in Sugar per 9g(1tbsp) is 35 calories. Sugar is calculated to be 384Cal per 100 grams making 80Cal equivalent to 20.83g with 8.93g of mostly carbohydrates、0g of protein、0g of fat in 9g while being rich in vitamins and minerals such as Copper and Calcium.